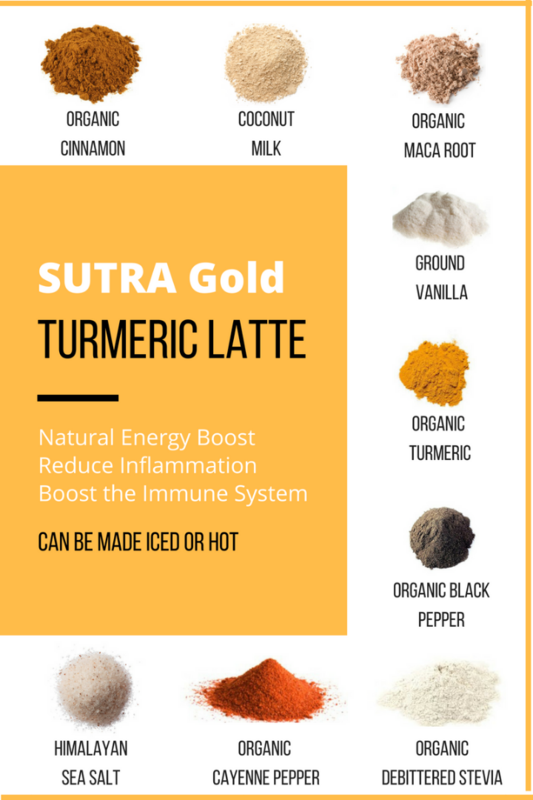 Recent studies have shown that the superfoods in SUTRA Gold Turmeric Latte reduce inflammation, boost immunity, and provide a natural energy boost. 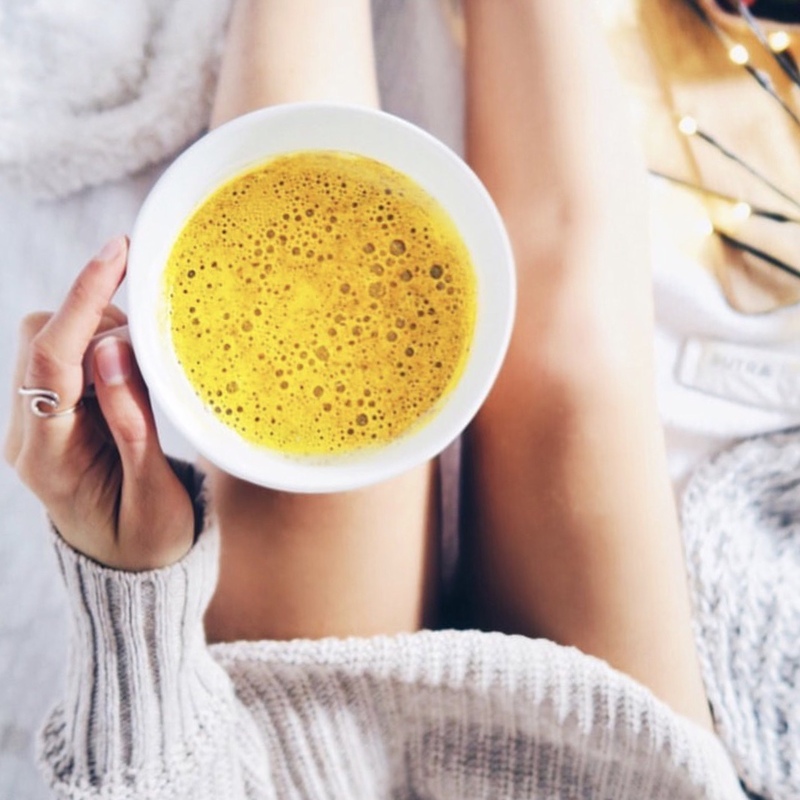 Mix our superfood blend with dairy-free milk and you’ll be tasting a bright gold delicious and healthy version of a golden milk. 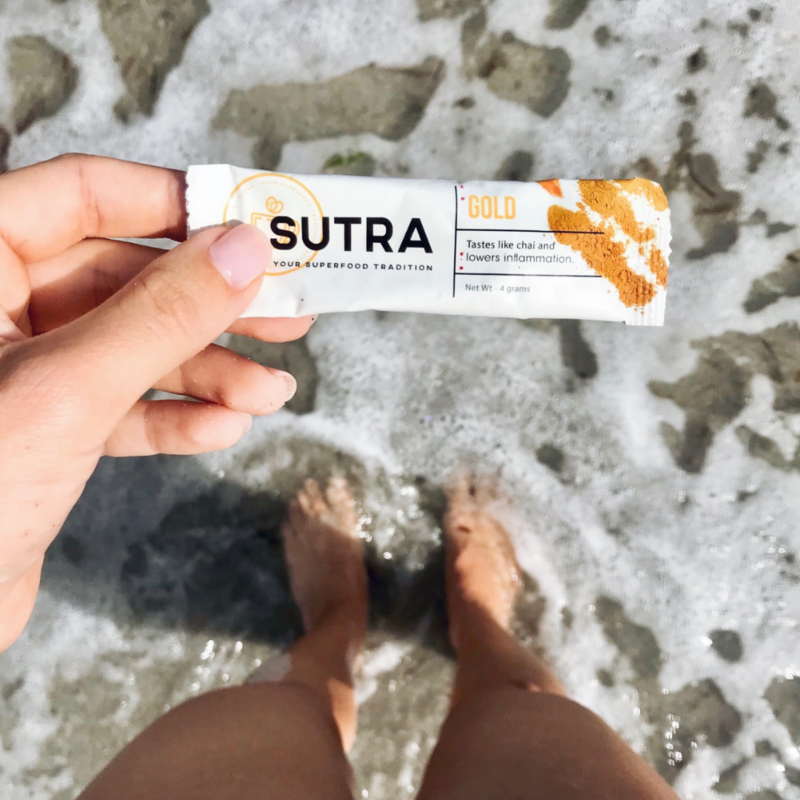 Sweetened with Stevia (the most natural and healthy plant-based sweetener on the planet) with a slight kick of Black Pepper, SUTRA Gold is about to be your new favorite daily ritual. 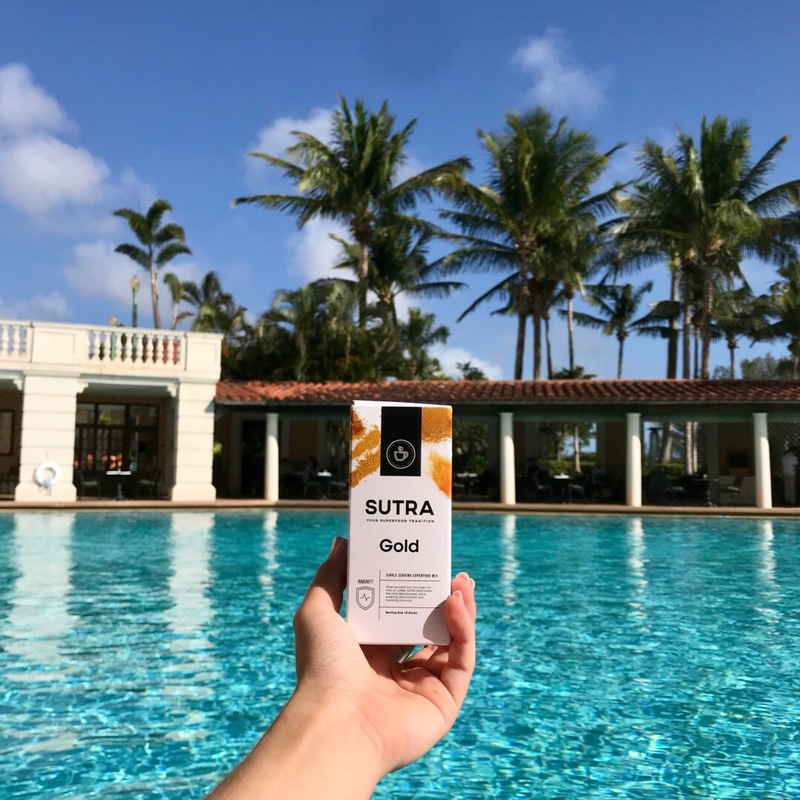 Our Bulk Wholesale SUTRA Gold contains a whopping 62 servings. That is a LOT of superfood goodness! 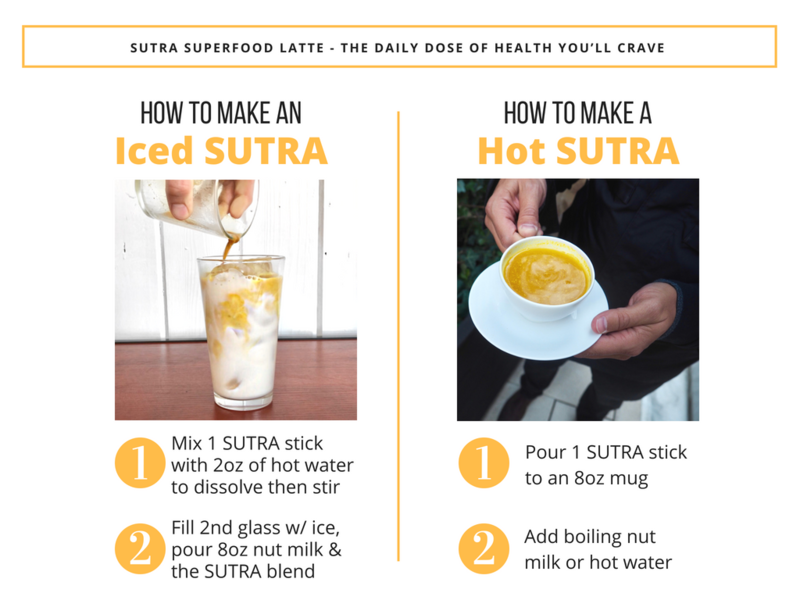 Our Nutritionist and Bio-Hacking Expert Co-founder designed our SUTRAs to be the most delicious, beautiful, healing and easy to make superfood lattes out there. No need to worry about which superfood to have and when. 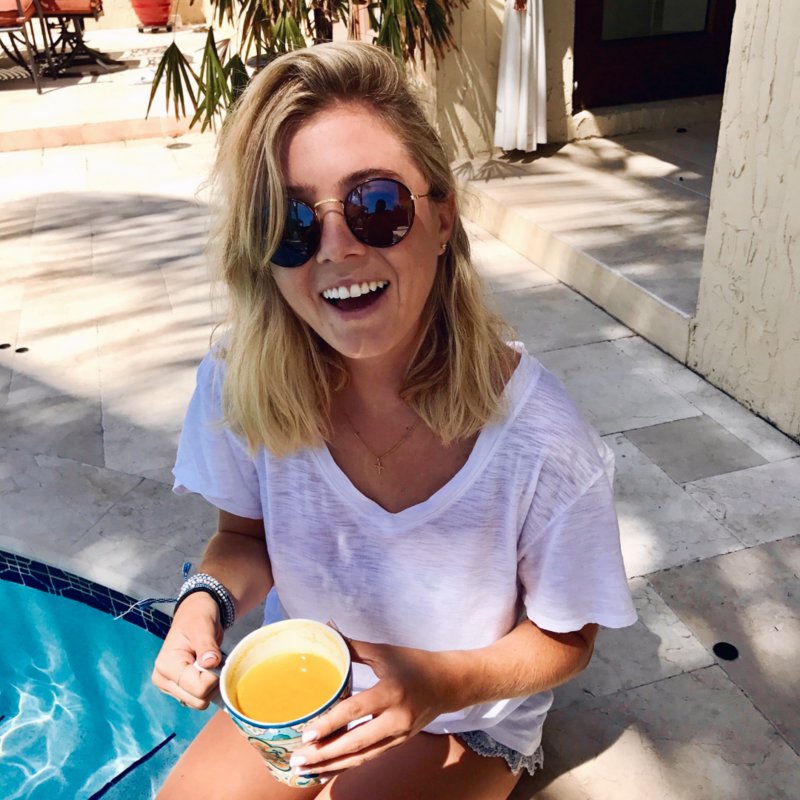 We've done the research and formulated the most energizing and detoxifying superfoods. TURMERIC - Curcumin (the healing compound in Turmeric) may lower levels of fatigue and increase energy levels. MACA ROOT - Maca may boost energy and libido, prevent fatigue, and strengthen immunity. BLACK PEPPER - Thought to increase energy, piperine (compound in black pepper), also stimulates the brain. GINGER - A great fatigue reducer, ginger may provide natural energy by improving blood circulation and blood sugar levels. 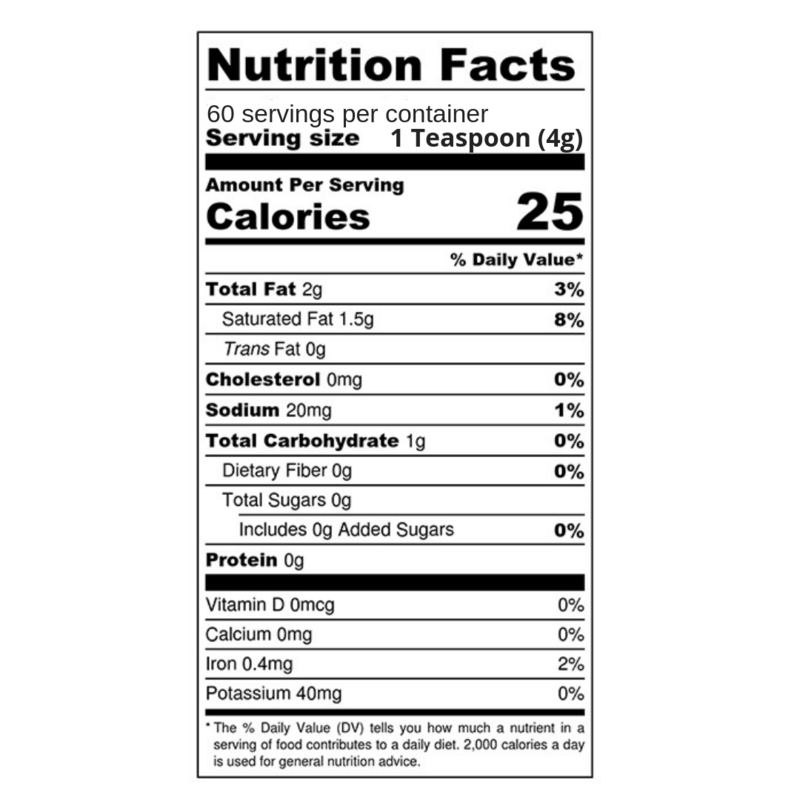 STEVIA - Stevia has zero calories and may improve glucose tolerance. SEA SALT - A vital electrolyte that may help optimize muscle and nerve function. VANILLA - Rich in antioxidants, vanilla may lower stress on the body and protect the immune system. CINNAMON - Cinnamon is high in antioxidants, boosts metabolism, and is known to reduce inflammation. CAYENNE - May increase energy levels, elevate mood, and enhance heart function. COCONUT MILK - Contains fatigue-fighting electrolytes and MCTs for increased cognitive function and energy. 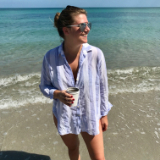 I was recently diagnosed with an illness where I had to eliminate a lot of food and also caffeine. That meant giving up my beloved coffee. However, I found your SUTRA Gold and now feel like I'm back to sipping a golden latte (kinda like a chai). Love it so much!